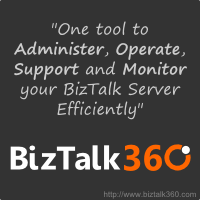 Microsoft recently released their 8th version of BizTalk called BizTalk Server 2013. One of the new capabilities in this version is the ability to use out of the box adapters when communicating with Windows Azure Service Bus endpoints and other Software as a Service (SaaS) solutions. In this session Kent will focus on exposing Line of Business services to the cloud using the new WCF-BasicHttpRelay, SB-Messaging and WCF-WebHttp adapters. This session will include some slides and lots of demos including exposing SAP information to a mobile device using these technologies. 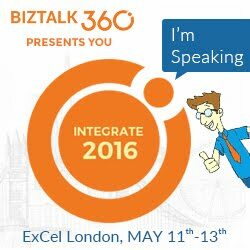 This session will also focus on the new Cloud based adapters for BizTalk Server 2013. I will be demonstrating some of the new capabilities found in the BasicHttpRelay, SB-Messaging and WCF-WebHttp adapters. Personally, the only issue that I have noticed was item number 2. It is nice to see this fixed as I was having a horrible time configuring BAM in a multi-server environment. I definitely recommend installing the update. This time around, Microsoft is delivering these updates via the Windows Update process. Overall, the process is painless and rather convenient. Windows Update will not automatically install these updates, they are something that you need to “opt in” for. You should discover a BizTalk 2013 section as part of the Important Updates. If you want additional info, click on the More Info link on right hand side. Note: The KB article indicates A reboot is not required, however I was prompted for a reboot but that must be related to the Windows Server Updates. For the past month and half, in my spare time, I have been working on a whitepaper that compares and contrasts System Center Operations Manager (SCOM) and BizTalk360. I have used both products extensively in my professional life and in order to remain objective within the paper I have driven my evaluation off of requirements. These requirements are based upon my experience of managing the 24x7 operations of a BizTalk environment at a large Power Distribution company in Canada. The paper can be downloaded from here and feel free to leave any comments that you may have below. I would also like to thank Steef-Jan Wiggers for being a technical reviewer on this paper. He provided me with some valuable feedback that increased the quality of the paper.